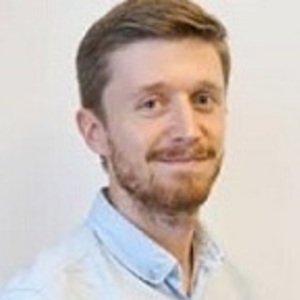 Microbes are increasingly being recognised as key components of ecosystems, and understanding their ecology is a clear frontier being made ever more accessible by the development of new sequencing technologies. Here, we collate a list of recent highlights in microbial ecology from the pages of Nature Ecology and Evolution, each crossing scales of time, space and function. 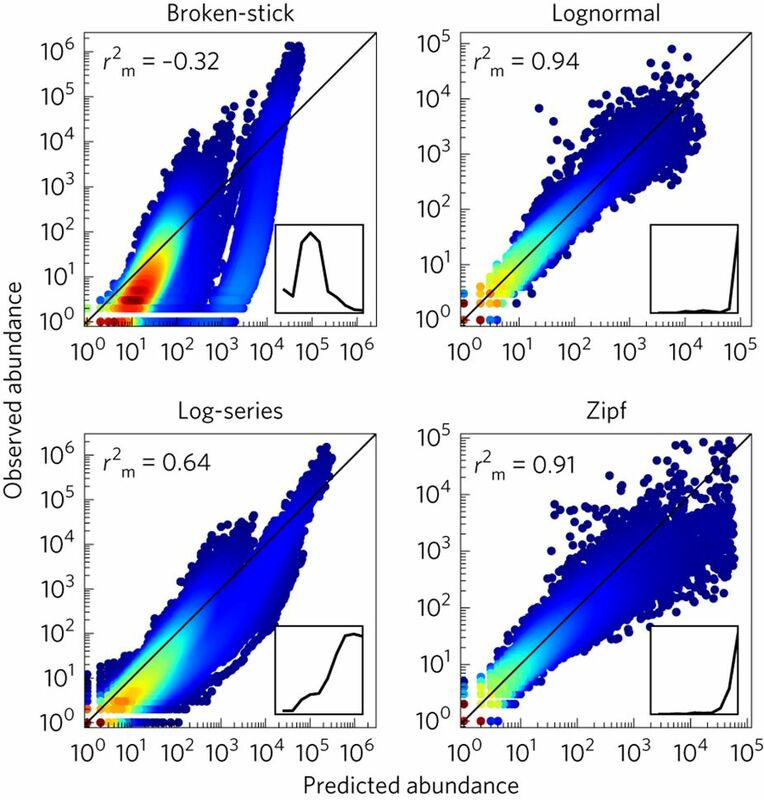 Host–microbiome interactions may have unique characteristics that are not completely captured by existing ecological and evolutionary theories. 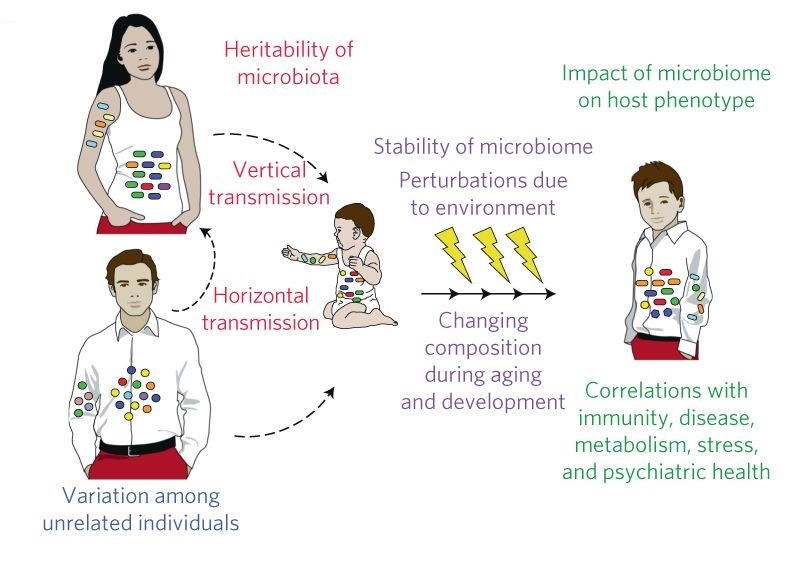 Koskella et al highlight potential pitfalls in applying these frameworks to the human microbiome. 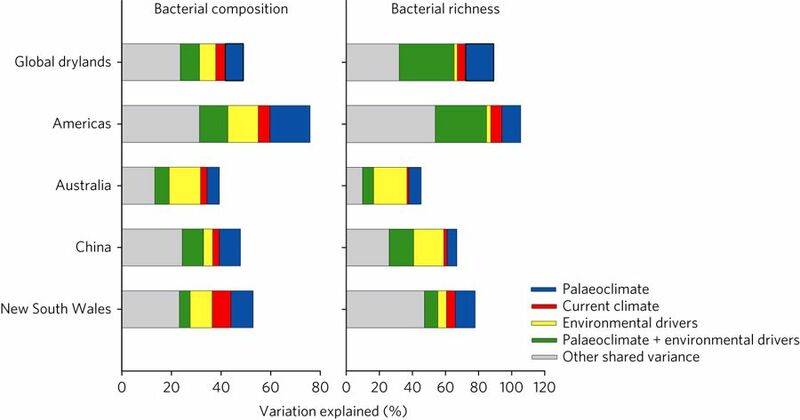 Analysing data from the Tara Oceans expedition, Ser-Giacomi et al show that the abundance distributions of non-dominant marine microbial eukaryotes are characterized by a power-law decay, the exponent of which varies by less than 10% across the global ocean. 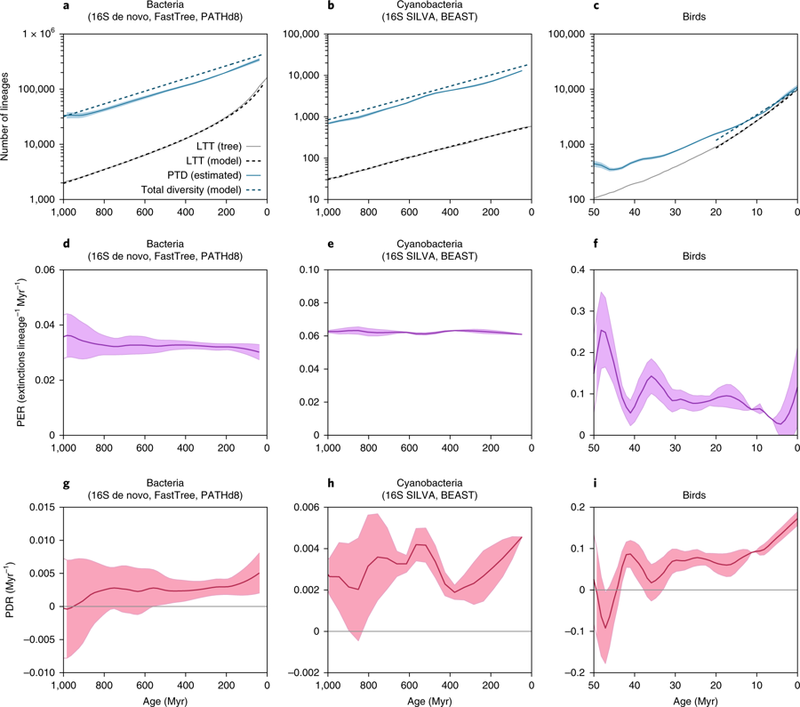 Reconstructing bacterial diversity dynamics from phylogenies, the authors estimate that there are about 1.4–1.9 million extant bacterial lineages and that diversity has been continuously increasing over the past 1 billion years, although most lineages to have inhabited Earth are now extinct. 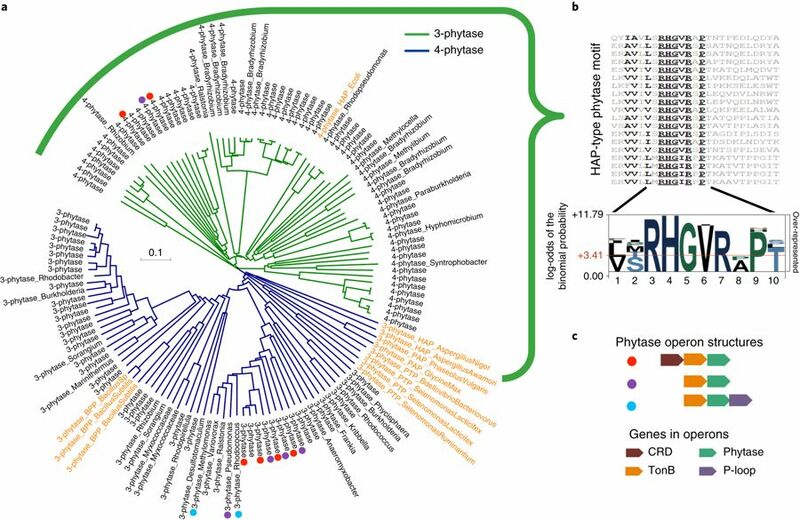 Metagenomic and metaproteomic analysis of soil from a 17-year tropical forest fertilization experiment supports the hypothesis that microbial communities respond to nutrient deficiency by enhancing the extraction of phosphorus from recalcitrant substrates. Analysis of soil microbial communities from five cities on three continents finds that urbanization is linked to the convergence of archaeal and fungal communities, and loss of ectomycorrhizal fungal diversity and abundance. A population-genomic analysis of more than 800 isolates of Staphylococcus aureus, representing the breadth of host-species diversity, reveals details of the pathogen’s evolutionary trajectory, including how this has been influenced by animal domestication and antibiotic use. 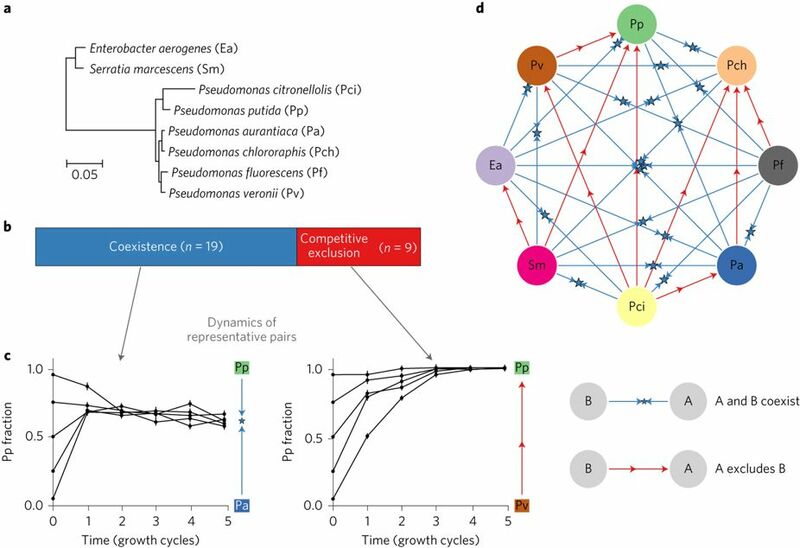 Single-species antibiotic dose response is a poor predictor of multi-species community dynamics because it cannot foresee the tipping points that cause irreversible changes in resistance that persist even when treatment stops, find Beardmore et al. 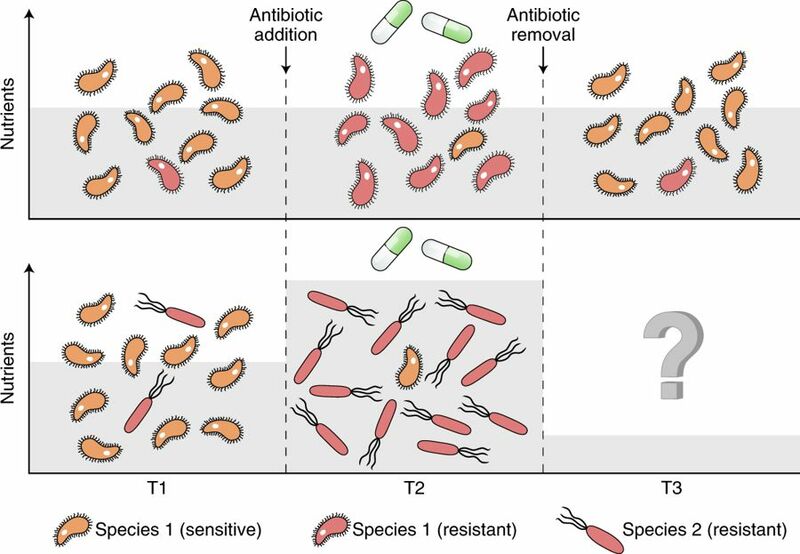 Rene Niehus & Sara Mitri discuss the findings from Beardmore et al (above), and argue that predicting and steering the fate of antibiotic resistance requires developing ecology- and evolution-aware strategies. Title background image from Maynard, D. S. et al., Diversity begets diversity in competition for space. Nat. Ecol. Evol., 1, 0156 (2017).